BBC News reports that the planned strike at British Airways has been deemed unlawful. 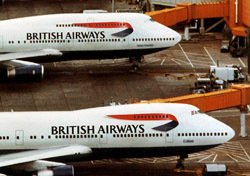 Unite, British Airways’ cabin crew union, had planned to strike between December 22 and January 2, but British Airways contended the strike ballot was invalid because it was distributed to individuals who no longer worked for the airline. Today, a judge agreed and declared the strike illegal. Over 90 percent of Unite’s members voted in favor of the strike. The decision averts what would have been a disaster for roughly a million of travelers, not to mention British Airways, which would have endured a massive loss of revenue if the strike went through. But for now, it will be business as usual, though the overarching situation is hardly resolved. So, crisis averted, for now, and British Airways customers, who stood to become collateral damage in a bitter business feud, can relax. But it’s clear the two sides have a lot to work out in the coming months, a process that will surely be more difficult given the emotional proceedings of the past few days.